The Party Casino site proudly announces itself as the biggest online casino in the world, so we entered it with a good deal of anticipation. It comes from the Party Gaming Group, who are, perhaps unsurprisingly, also the people behind the hugely successful Party Poker brand. We expected to find a range of exciting games and some big cash offers. And we are pleased to announce we found that and much, much more. The site opens up with an impressive looking home page. There is plenty of information to get you started on the right track, and a useful help box pops up in case you have any questions you want to ask to a live operator. The main attraction on the home page is a giant banner offering a £3000 welcome bonus and with a counter showing the site’s jackpots running up to a mouth-watering total. The last time we looked it was well over £4,000,000. The Party Casino site differs a little from other online casinos as it doesn’t give you all of the games listed on the home page. They are all accessed under the Games tab. This is presumably for two reasons; to keep the home page uncluttered and to give the banner with the bonus offer more prominence. It certainly works well and doesn’t alter the ease of navigation on the site at all. As is common on online casino sites, you can either download the games software or play a few quick instant play games on your browser. Games include Monopoly, Raffle Jackpot and Melon Madness. Slots, blackjack and roulette are all popular options on the site. There is also the option of taking part against other players in live online casino tournaments. 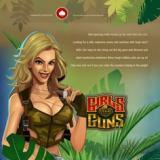 These take place on slots games such as Dr Love and City of Gold. It is a fine option for anyone who loves the extra buzz of being up against other players and of seeing their name on the leaderboard. We mentioned earlier a £3000 welcome bonus. There are actually a few different welcome offers and you can choose which one best suits you, depending upon the type of game you plan to play. For example, slots players would be well advised to take the one which offers 100% extra on their first 4 deposits, which adds up to a maximum of £3000. You will then find a big list of other useful promotions to help you enjoy your wagering once you get started. For example, there is the VIP scheme which offers you access to special events on a regular basis. The 25th of each month is also a good time to pop onto the Party Casino site. This is when the Fruit Medley promotion gives you the chance to pick up some great cash bonuses. When a site is marketed as the biggest online casino in the world it is giving itself a lot to live up to. Thankfully, Party Casino delivers everything you could reasonably expect from it and gives a fantastic gaming experience. In particular, the range of bonuses is very impressive. If you like to get cash for free or free games then you are bound to find something to suit your tastes. Add in the big welcome bonus and the range of interesting games and you can see that it is well worth checking out this site. You might like to give it a try in instant games mode to get you started but there is a very good chance that it hooks you in and that before you know it you are downloading the software and using it regularly.